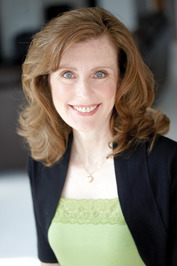 Irene Hannon, who writes both contemporary romance and romantic suspense, is the author of more than 50 novels. Her books have been honored with three coveted RITA awards from Romance Writers of America (the “Oscar” of romance fiction) and she is a member of that organization's elite Hall of Fame. She has also received a Career Achievement award from RT Book Reviews for her entire body of work. Other awards for individual books include National Readers' Choice, HOLT Medallion, Daphne du Maurier, Retailers Choice, Booksellers' Best, and Reviewers' Choice from RT Book Reviews. She is also a two-time Christy award finalist. A former corporate communications executive with a Fortune 500 company, Irene now writes full time. To learn more about Ir Irene Hannon, who writes both contemporary romance and romantic suspense, is the author of more than 50 novels. Her books have been honored with three coveted RITA awards from Romance Writers of America (the “Oscar” of romance fiction) and she is a member of that organization's elite Hall of Fame. She has also received a Career Achievement award from RT Book Reviews for her entire body of work. Other awards for individual books include National Readers' Choice, HOLT Medallion, Daphne du Maurier, Retailers Choice, Booksellers' Best, and Reviewers' Choice from RT Book Reviews. She is also a two-time Christy award finalist. A former corporate communications executive with a Fortune 500 company, Irene now writes full time. To learn more about Irene and her books, visit www.irenehannon.com. "Irene Hannon has once again created a story that grabs the heart and pulls you into an absorbing journey with her characters. "Vintage Hannon! Love returning to Hope Harbor, meeting old friends and making new ones.Engaging storyline, memorable characters, and deligthful narrative!" " If you read this book in November, may I ask how you got a copy? I was still doing a final proofread at that stage. " " Thank you for the wonderful review, Meagan! " This is our poll for October's Books of the Month - the two with the most votes will be our reads! Lisa wrote: "I'm in the middle of "Lethal Legacy" at this moment....just found out why Cole turned away from God (which I've been wondering about since the first in the series!) Definitely another five-star ke..."
Glad you're enjoying it, Lisa! Happy Fourth to you, too! I'm in the middle of "Lethal Legacy" at this moment....just found out why Cole turned away from God (which I've been wondering about since the first in the series!) Definitely another five-star keeper! Will write details when I'm finished....Happy Fourth!